This year's Bunny Cake is chocolate/ chocolate chip cake with chocolate glaze. My lucky family and friends get to pick the paper grass off of their individual pieces! Yum! 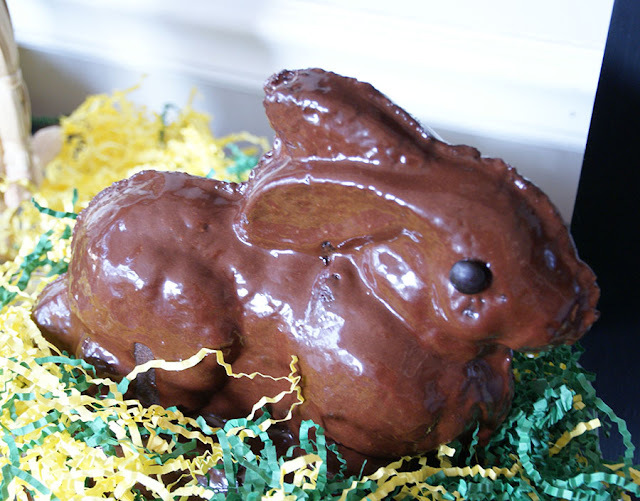 What a "sweet" bunny! 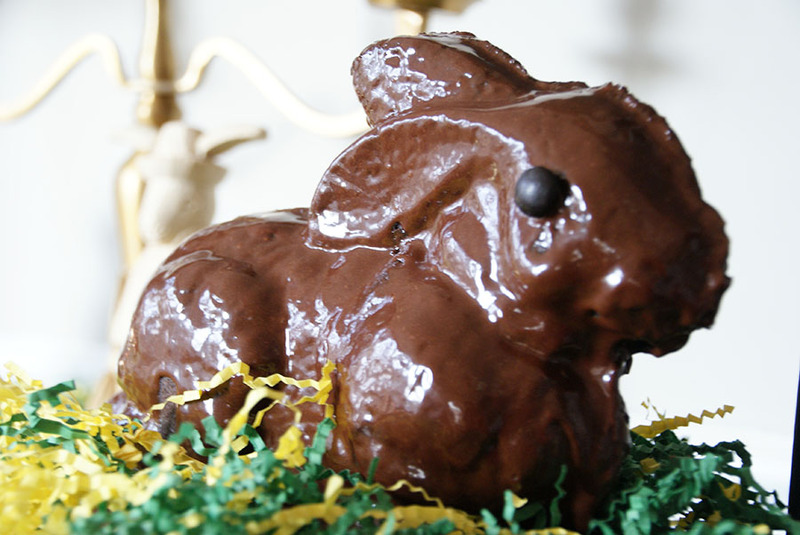 We always had the lamb cake with the coconut :-) And a Happy Easter to you and yours!